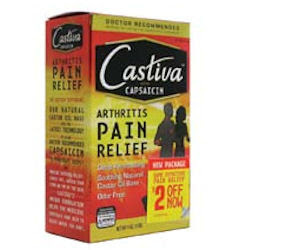 Go here for your free topical sample of Castiva with Capsaicin Arthritis Pain Relief lotion. It also gives you an option to get 2 samples! Limit 2 per household.